Juan Milton Samuel (born December 9, 1960) is a retired second baseman and center fielder who spent sixteen seasons in Major League Baseball (MLB) with the Philadelphia Phillies (1983–1989), New York Mets (1989), Los Angeles Dodgers (1990–1992), Kansas City Royals (1992, 1995), Cincinnati Reds (1993), Detroit Tigers (1994–1995) and Toronto Blue Jays (1996–1998). A three-time National League (NL) All-Star, he appeared in the 1983 World Series with the Phillies. He served as interim manager for the Baltimore Orioles during the 2010 MLB season. He is the third base coach for the Phillies. Samuel was originally signed as a non-drafted free agent by the Philadelphia Phillies in 1980. A three-time All-Star, Samuel earned National League (NL) Rookie of the Year honors from The Sporting News in 1984, when he tied for the NL lead with 19 triples and placed second with 72 stolen bases, which established a then-MLB rookie single-season record for steals,[lower-alpha 1] previously held by Tim Raines with 71 in 1981. In 1987, Samuel became the first player in major league history to reach double figures in doubles, triples, home runs and stolen bases in each of his first four major league seasons. A year later, he fell short by one triple to repeat this feat for a fifth consecutive year. 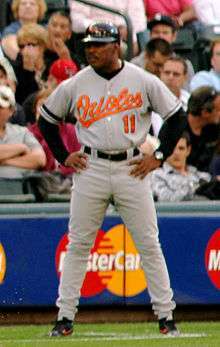 During his majors career, Samuel collected 1,578 hits, 396 stolen bases, and also reached double figures in home runs nine times. A popular player in Philadelphia, he appeared in the 1983 World Series, going 0-for-1 in three games. Samuel, an aggressive hitter who infrequently drew bases on balls was once quoted as saying, "You don't walk off the Island (meaning his home country). You Hit." Samuel was sent to the New York Mets during the 1989 midseason in the same transaction that brought Lenny Dykstra and Roger McDowell to Philadelphia. He also played two and a half seasons both for the Dodgers and Tigers, spent a year in Cincinnati, had two brief stints with the Royals, and provided three years of good services for Toronto, pinch-hitting, serving as DH, and playing at first base, second, third, left field and right. He retired after the 1998 season. Samuel holds the major league record for most at-bats by a right-handed hitter in one season with 701, set in 1984. That mark was also the most for any National League batter in a single campaign, later surpassed by Jimmy Rollins. He also tied an ML record for consecutive strikeout titles with four (1984–87), shared with Hack Wilson (1927–30) and Vince DiMaggio (1942–45). Samuel is tied for 146th place in career triples. Since retiring from play, Samuel has coached at various levels and in various roles. He coached third base for the Detroit Tigers in 2005 after having coached first base for the team since 1999. He managed the Double-A Binghamton Mets for the 2006 season, and was named the 3rd base coach for the Baltimore Orioles on October 31, 2006, where he remained through the first part of 2010. 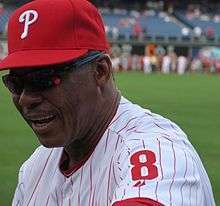 In August 2008, Samuel was inducted into the Philadelphia Phillies Wall of Fame at Citizens Bank Park. Samuel joined the Phillies coaching staff for the 2011 season as 3rd base coach, with former 3rd base coach Sam Perlozzo moving to 1st base coach. In 2013, he moved to 1st base coach with Ryne Sandberg taking over the duties at 3rd base. Upon Ryne Sandberg being named interim manager, Samuel returned to filling the role of 3rd base coach for the Phillies. In 2010, he was inducted into the Hispanic Heritage Baseball Museum Hall of Fame. Samuel was named interim manager of the Orioles after Dave Trembley's dismissal on June 4, 2010. He took over a ballclub that was in last place in the American League (AL) East with the majors' worst record at 15–39. During his brief tenure, the team had a pair of four-game win streaks. 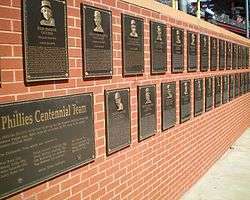 The first one on June 24–27 was highlighted by a three-game sweep of the Washington Nationals at Camden Yards. Its first four-game road sweep since 1995 was achieved after the vanquishing of the eventual AL champion Texas Rangers at Rangers Ballpark in Arlington two weekends later and immediately prior to the All-Star break. Beyond this, the Orioles showed little tangible improvement as they went 17–34 under Samuel, whose stint ended on August 1 with a 5–4 loss at Kauffman Stadium, the third straight defeat to the Kansas City Royals. Three days earlier on July 29, Buck Showalter was announced as Samuel's successor on a full-time basis beginning on August 3. After declining an offer to return to his old third-base coaching job, Samuel accepted a position elsewhere in the organization as an evaluator for its Dominican Republic academy for the remainder of that season. ↑ "Orioles fire manager Dave Trembley". Retrieved 2010-06-04. ↑ Nemec, David; Flatow, Scott (2008). This Day in Baseball: A Day-by-Day Record of the Events That Shaped the Game. Taylor Trade Publishing. p. 167. ISBN 9781589794078. Retrieved September 3, 2015. ↑ La Russa, Tony; Purdy, Dennis (2006). The Team-By-Team Encyclopedia of Major League Baseball. Workman Publishing. p. 1142. ISBN 9780761153764. Retrieved September 3, 2015. ↑ Durso, Joseph (July 19, 1989). "Mets Get Samuel for McDowell, Dykstra". New York Times. Retrieved 2009-07-15. ↑ "Orioles name Juan Samuel interim manager," Baltimore Orioles press release, Friday, June 4, 2010. ↑ Ghiroli, Brittany. (June 4, 2010). "Trembley dismissed; Samuel in as interim," MLB.com. ↑ 2010 Baltimore Orioles (schedule, box scores & splits). Baseball-Reference.com. ↑ Rosenstein, Noah. (June 27, 2010). "Tejada caps comeback to secure sweep," MLB.com. ↑ Wills, Todd. (July 11, 2010). "O's end first half with sweep of Rangers," MLB.com. 1 2 "Juan Samuel". Baseball Reference. Sports Reference. Retrieved October 1, 2015. ↑ Ghiroli, Brittany (August 1, 2010). "Orioles' struggles continue vs. Royals," MLB.com. ↑ "Orioles name Buck Showalter Manager," Baltimore Orioles, July 29, 2010. ↑ Ghiroli, Brittany. (August 2, 2010). "Samuel declines post, will remain with club," MLB.com. Juan Samuel No. 11 (manager & coaches profile) – Baltimore Orioles official website.